Shivaratri Fast is considered to be the most important fast for the devotees of Lord Shiva. Shiva Purana goes on to say that if a devotee observes Shivaratri Vrata with sincerity, pure devotion and love he is blessed with the divine grace of Lord Shiva. 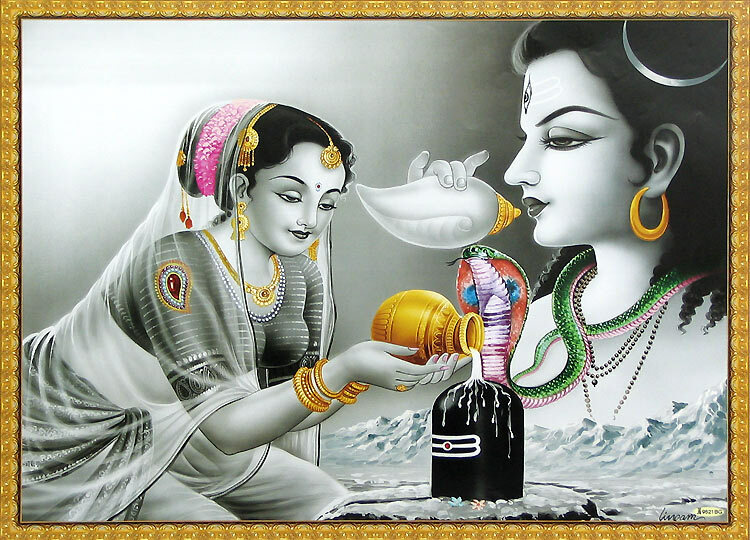 Every year devotees observe Maha Shivaratri fast with devotion and sincerity. Though many go on a diet of fruits and milk, some do not consume even a drop of water all through the day and night of Shivaratri Festival. According to Hindu mythology, observance of mahashivratri Vrat with discipline helps a devotee to control the two great natural forces that afflict a man, rajas guna (the quality of passionate activity) and tamas guna (the quality of inertia). When a devotee spends an entire day in the Feet of Lord and worships with sincerity, his motion is controlled and evils like lust, anger and jealousy, born of Rajas are ignored and subdued. Besides, when a devotee observes vigil throughout the night (jaagran) he manages to conquer the evils of Tamas Guna too. It has also been mentioned that when a devotee observes a round of worship every three hours, the Shivaratri Vrata becomes perfect. Devotees of Lord Shiva believe consider Shivratri fast to be extremely auspicious and rate it equal or more than performing an Ashwamedha Yagna. Some believe that a devotee who observes a Shivaratri Fast with sincerity and utters the name of Lord Shiva with perfect devotion is absolved from all sins. Such a devotee reaches the abode of Lord Shiva and lives there happily. He is also liberated from the cycle of birth and death. As a tradition, devotees who are on a strict fast on Shivaratri take bath with the water that is boiled with black sesame seeds to wash away bodily impurities. After putting on fresh new clothes, a devotee visit the nearest Lord Shiva temple to perform the ritual Shiva Linga bath with milk, honey etc. While bathing the Lingam a devotee prays, "O Lord ! I will bathe Thee with water, milk, etc. Do Thou kindly bathe me with the milk of wisdom. Do Thou kindly wash me of all my sins, so that the fire of worldliness which is scorching me may be put out once for all, so that I may be one with Thee-the One alone without a second." Following the sacred bath, devotee applies haldi-kumkum on the lingum and place a garland of white and pink lotus flowers on it. Bel leaves are also placed at the top of the Lingum. Aarthi and bhajans in praise of Lord Shiva are also sung to invoke his blessings. Devotee also light incense stick and ring temple bell to invoke the blessing of the large-hearted Lord Shiva. It may be noted that unlike most other festivals, where after performing the Puja of the deity a feast follows, a Shivratri fast continues all through the day and night. Devotees observe an all night vigil while chanting the mantra, "Om Namah Shivaya" and singing devotional hymns and songs. Even during the night, Shiva Lings is given the holy bath every three hours. An offering of fruits is also made to the deity. There is also the tradition to listen to the recital of various legends and stories related to Shivaratri and Lord Shiva and to understand its deeper meanings. It is only in the following morning that a devotee breaks the fast by consuming the prasad offered to Lord Shankar.